Maple Bank Guest House017687 78229work Guest HouseMaple Bank is a magnificent Edwardian residence in the quiet valley of Braithwaite enjoying uninterrupted views across the Derwent Valley towards Skiddaw and Latrigg. 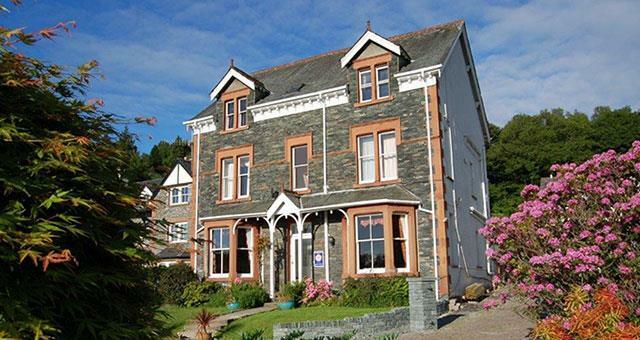 Nestled between Derwentwater and Bassenthwaite and just 2 miles from Keswick. Maple Bank Guest House sometimes limits bookings to 2 or more days. 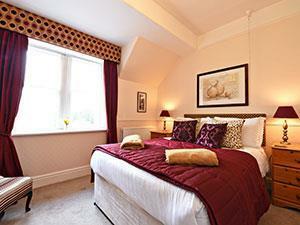 Lovely light and airy double room on the second floor with a view of Skiddaw or garden view. Divan double bed, armchair, built-in double cupboard with plenty of hanging space and storage space, chest of drawers, two bedside tables with lamps, TV with built-in DVD player, tea & coffee making facilities and hair dryer. En suite bathroom with toilet, sink and shower. Iron and ironing board available on request. Dog-friendly. Rooms are automatically allocated by online booking. If you wish a specific room, please phone Maple Bank. Double Room sometimes limits bookings to 2 or more days. Lovely light and airy kingsize room on the first floor with a view of Skiddaw. Divan kingsize bed, armchair, wardrobe with plenty of hanging space and storage space, chest of drawers, two bedside tables with lamps, TV with built-in DVD player, tea & coffee making facilities and hair dryer. En suite bathroom with toilet, sink and shower. Iron and ironing board available on request. Dog-friendly. Kingsize Room sometimes limits bookings to 2 or more days. 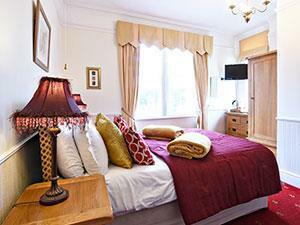 One twin room is on the first floor with a view over the garden and two single divan beds. 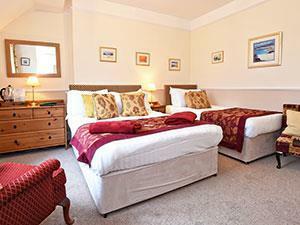 Second twin room is on the second floor looking over to Skiddaw with double divan bed and single divan bed. Each room has a built in cupboard with plenty of hanging space and storage, armchair, chest of drawers, bedside table, bedside lights, TV with built-in DVD player, tea & coffee making facilities and hair dryer. Iron and ironing board available on request. En suite bathroom with toilet, sink and shower. Iron and ironing board available on request. Dog-friendly. Rooms are automatically allocated by online booking. If you wish a specific room, please phone Maple Bank. Twin Room sometimes limits bookings to 2 or more days. Maple Bank is a magnificent Edwardian residence in the quiet valley of Braithwaite enjoying uninterrupted views across the Derwent Valley towards Skiddaw and Latrigg. 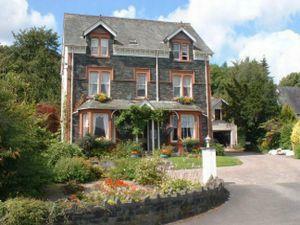 Nestled between Derwentwater and Bassenthwaite and just 2 miles from Keswick. In Braithwaite there are four pubs all serving fine food and local ales. Leisure club is village tennis/bowls club. Children welcome from age 5. From M6 jct 40 follow A66 towards Keswick. Turn off the A66 for Thornthwaite, proceed 30 metres. Bus X5 goes past the house, and nearest stop is 100m away, opposite Braithwaite Institute.